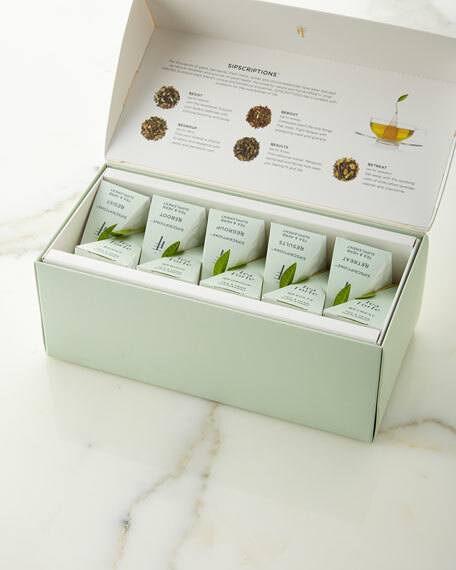 Sipscriptions Presentation Box of organic tea blends. Box, 8.5"W x 4"D x 3.25"T; 20 servings. 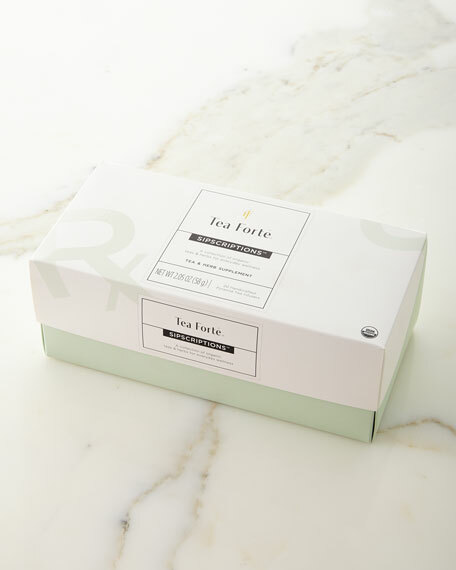 Contains 20 silken pyramid infusers, including 4 each of: Resist (defense), Regroup (detox), Results (fitness), Reboot (energy), and Retreat (relaxation) blends. Made in Germany of imported material. For in-store inquiries, use sku #2195941.